Find a forest ranger! 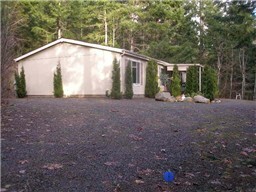 You’ll need them to show you this totally seclusion 3 bedroom 2 bath home on 4+ acres. This home is nestled in the trees at the center of the Hood canal playground. Take a guided tour around the Alderbrook Resort & Golf Course and Twanoh State Park, each within a ten minute drive. Live like a ranger hiking in the nearby Olympic Mountains, boating on Hood Canal, golfing at Alderbrook, and or a fishing. This 1400 + sqft home is like new. Richard Beckman SOLD this Union home for 124,950.00.